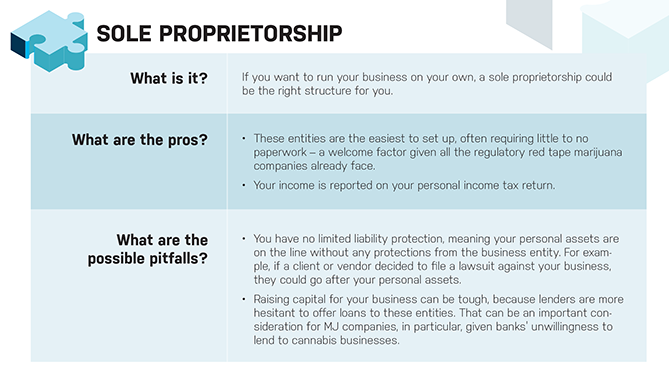 Of the countless choices you will make as you expand your cannabis business, few decisions are more critical to your company’s financial future than the legal structure you select at the outset. 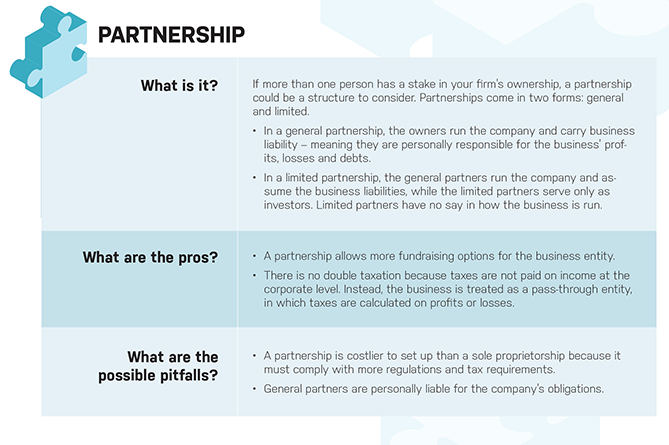 From taxes to raising money to your own personal liabilities as a founder, your company’s structure can make or break its chances for success. 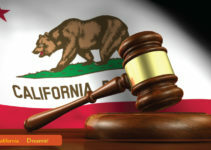 “It’s a decision that’s full of twists and wrinkles, especially considering that regulations are still changing,” said Tatiana Logan, a corporate law attorney with the Harris Bricken law firm in Los Angeles. For example, Logan said, the rules governing cannabis business licenses vary from state to state. 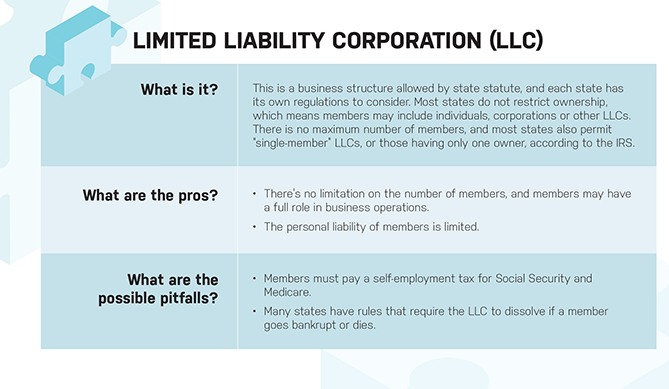 In many states, those licenses cannot be transferred from one business entity to another. 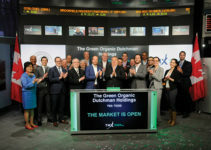 But a carefully crafted corporate structure, she said, can ensure that business entities remain intact, even if the founding members are ready to exit. Benton Bodamer, a Columbus, Ohio-based attorney with the law firm Dickinson Wright, agreed. 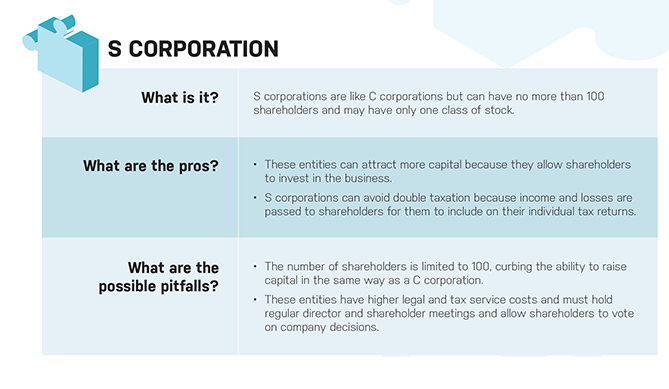 Here are tips for how to decide what corporate structure best suits your cannabis business and a look at the different options that are available. In Logan’s law office, she begins with the basics as she walks cannabis clients through their options. 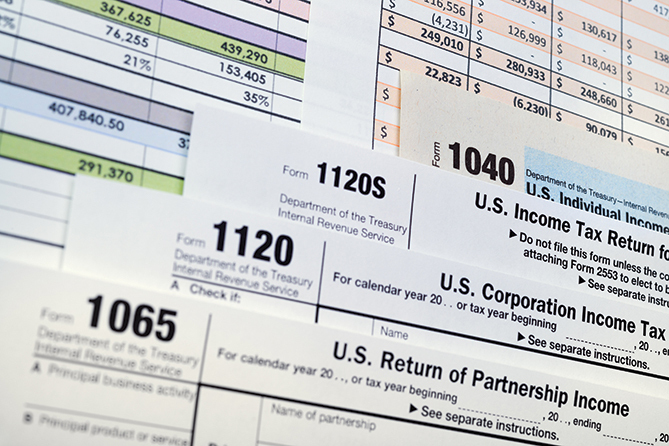 Tax liabilities, Logan and Bodamer emphasized, are a top consideration for cannabis firms given Section 280E of the federal tax code, which prevents cannabis companies from taking the same deductions that mainstream businesses do. 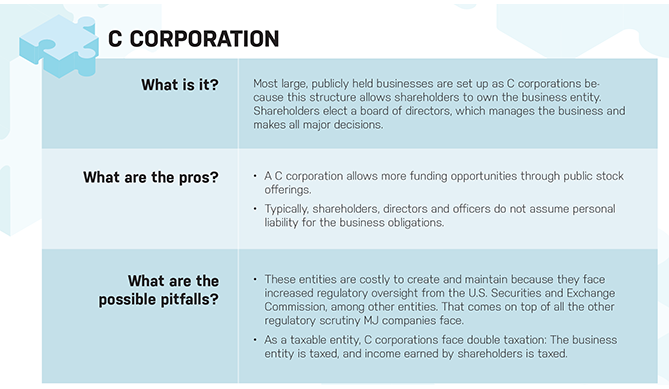 To help limit a firm’s tax burden, Logan advises her cannabis clients to consider building a corporate family of entities – in other words, creating a separate entity for each type of business activity the company might perform. 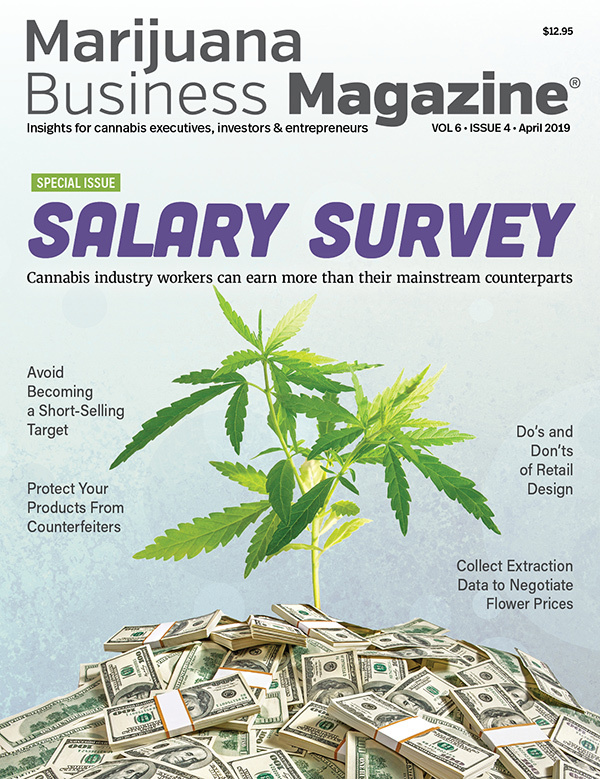 For example, if a marijuana company has cultivation and distribution operations, separating the two activities into their own business entities can limit tax liabilities and ensure that problems in one line of business don’t sink the company. Construct a separate business entity for your intellectual property. That IP can be licensed out to third parties and will serve as another line of business. Certain equipment used in your operations can be placed into a holding company that charges your other operations rent for their use. “If you’re paying rent on equipment, it becomes a cost-of-goods-sold line item that you can fold into a business plan for tax-planning purposes,” Logan said. 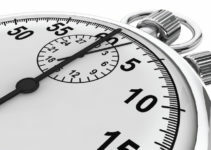 Some businesses have even placed a company’s management operations into a separate entity – but Logan advised treading cautiously in this area. “If it is just a shell and not a substantive business entity, then regulators will prevent you from treating the operation as its own,” she said.